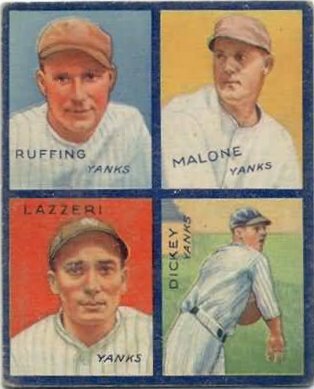 (all of them at least fifty years old) that we fondly refer to as "old cardboard." Back Issues of OC Mag. Order Back Issues of OC Magazine, dedicated to the vintage baseball card and memorabilia hobby. Each magazine focuses exclusively on baseball card sets and memorabilia produced fifty years ago or longer. "BackPacks" of all 34 issues are also available. Take advantage of a variety of programs to promote your business at Old Cardboard. Choose from banner ads on our website, eBlast supplements with your content directed to more than 3500 vintage card collectors, or become a sponsor for our monthly eNewsletter. Visit our Ad Rates page for full details.